Love Sushi? 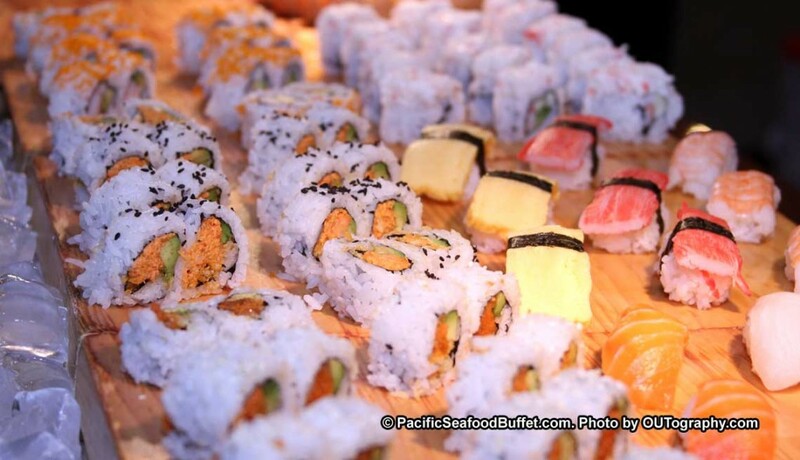 Pacific Seafood Buffet offer the best sushi selection in the valley. From California roll to anything you can possible imagine, you can as many sushi as you want. You can also take out with a FEE. There is no better place to enjoy the fresh made sushi in front of you or on demand. We keep our sushi fresh for our loyal customers.